This instructional DVD is designed to provide a deeper study of the instructional material offered in Volumes I & II of La Verdadera Destreza instructional series. In this volume Maestro Ramon Martinez takes a more in depth technical view of the Affirmar & Angulo recto (stance) and the Compases (footwork). Presented in an uncomplicated form intended to be easily comprehensible to the modern swordsman training without a master. 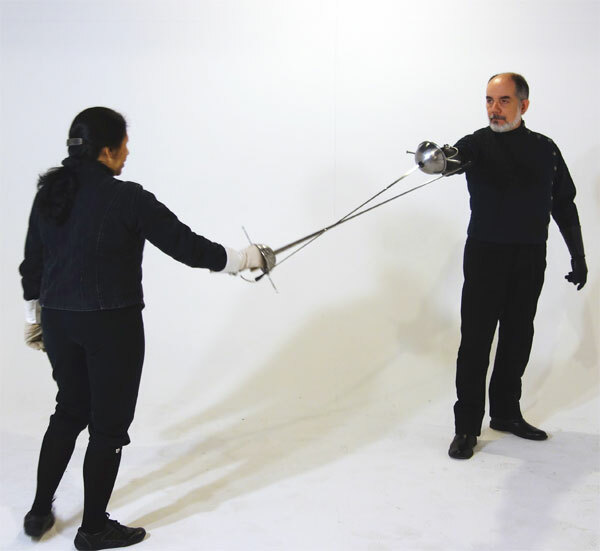 This additional material presents a more detailed look at the most fundamental elements of the Spanish School of Swordsmanship. With the assistance of Maestro Jeannette Acosta-Martinez and Instructor Jared Kirby, Maestro Ramon Martinez teaches these skills in short, sequential lessons, which include simple drills that exemplify the fundamentals. 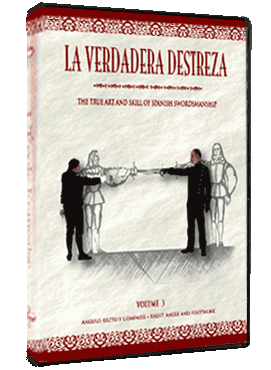 Based upon the texts of the Spanish Masters of the 16th and 17th centuries, La Verdadera Destreza - Volume III is an instructional guide gleaned from the study of the historical Spanish treatises. With over thirty years of continual research and study Maestro Martinez is the world’s preeminent authority on La Verdadera Destreza. 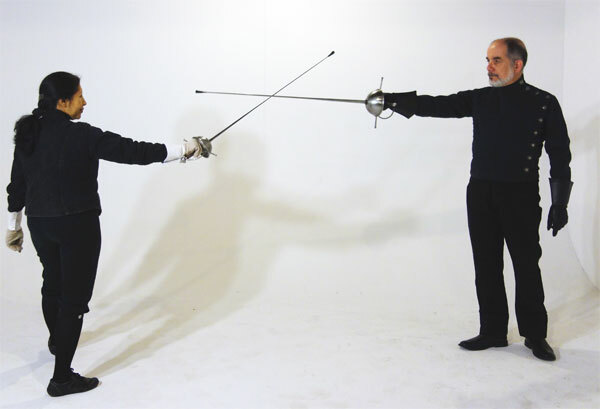 He has brought more international recognition and respect for the Spanish school of fencing than any other master within the last one hundred and fifty years.